18 inch necklace in one of our favorite flat cable styles. Open links accommodate 18 gauge (or smaller) jump rings so you can attach charms or dangles. 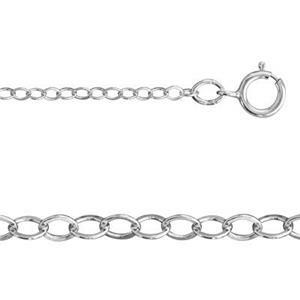 Pair it with others lengths in the #21316 Silver Cable Chain Necklace series for a lovely layered look.